American Airlines is running a contest through Twitter, giving away 50,000 miles to 3 lucky winners. I wrote about another AA contest yesterday where you can win 25,000 AAdvantage miles. Read about it here. United Airlines is giving away a trip for 2 to Sochi for the 2014 Winter Olympic Games through a contest on Facebook. To enter you need to answer some Olympics trivia questions on the Facebook page. 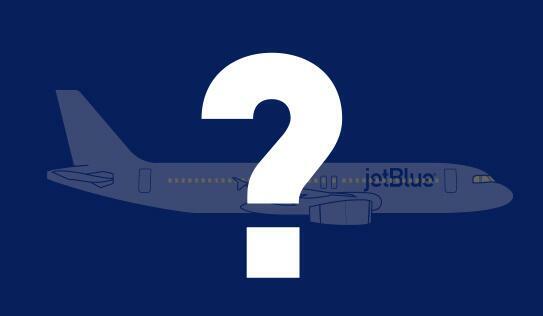 JetBlue is introducing its newest livery called “Blue Bravest” in New York today in support of the FDNY Foundation and giving away two domestic travel certificates as a prize. The FDNY Foundation is the official not for profit of the FDNY, established to promote Fire Safety in New York City and the professional development , training and education of members of the FDNY. At around 7:15 AM the Airbus A320 (featuring the special Blue Bravest livery) will be making “a NYC fly by along the West side of Manhattan”. By the time I am posting this, the fly by will most likely be over. Last week I came across a really bizarre promotion being ran by Lufthansa Sweden. Lufthansa refers to this offer as a contest but this isn’t exactly the case. I find it more to be a promotion since the prize is a bit gimmicky yet funny at the same time. Before I explain more I’ll let you know that this offer is only open to Swedish citizens but still worth hearing about. Lufthansa is looking for Klaus Heidi and if you are willing to change your name, they might move you to Berlin for good! Earlier in the week I posted about the Michael W Travels 2nd Anniversary & Giveaway. The contest ends tonight, at midnight so this is your last chance to enter for a shot at winning some great prizes. The Giveaway: To coincide with the 2nd birthday of Michael W Travels I figured a little giveaway would be a great idea. There will be 5 prizes with 5 winners. All of the prizes are airline- related. This contest doesn’t have much to do with travel but still think that it should appeal to many of you- American Apparel is running a Halloween 2013 Photo Contest with the prize being gift cards for three lucky winners. Last month (and last week) I wrote about the #AirTime Challenge, a contest where you could win 25,000 AAdvantage miles. To enter the contest you need to guess the amount of time the ball is in the air for completed passes by the Dallas Cowboys in select games. I recently saw this giveaway mentioned in the Southwest Spirit Magazine e-mail. Southwest is giving away a trip for 2 to St Pete Beach, Florida. While I’m not really a fan of laying out on the beach, an experience included in the prize sounds really awesome. Along with air and hotel (and other extras) a JetLev flying jetpack experience comes with the prize package. The JetLev jetpack allows you to “soar up to 30 feet in the air or hover and walk along the water”. JCREWFACTORY.com is turning 1 and giving away a very nice prize- a trip for 2 to any JetBlue Getaways destination and a $2,500 shopping spree. You may enter one time per day until the promotion ends on October 31.